One of the New York area's most important entertainment and arts venues, BAM provides a focus on avant-garde performance art and progressive dance for both the local community and those from further afield. Over 550,000 pass through its doors annually, no mean feat from having opened in 1861 and beginning performances in its present location in 1908. 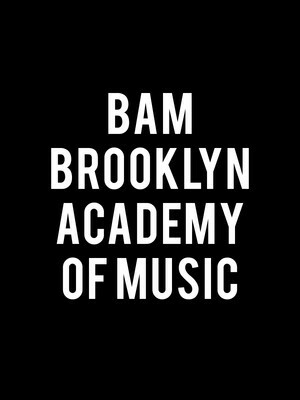 Please note: The term BAM - Brooklyn Academy of Music as well as all associated graphics, logos, and/or other trademarks, tradenames or copyrights are the property of the BAM - Brooklyn Academy of Music and are used herein for factual descriptive purposes only. We are in no way associated with or authorized by the BAM - Brooklyn Academy of Music and neither that entity nor any of its affiliates have licensed or endorsed us to sell tickets, goods and or services in conjunction with their events.